Jesus Christ is The Gift of Love Imagine a Christmas basket loaded with innumerable presents. Jesus is like that, overflowing with true blessings God has given freely, with love, to the world. Those who receive Jesus Christ are blessed with many gifts: joy, peace of mind, and the knowledge that a place in Heaven is being prepared for them. No earthly gifts can compare. 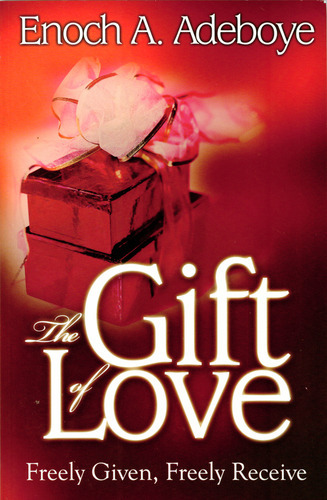 The Gift of Love explains how important it is to know and appreciate the intrinsic value of our Lord and Savior Jesus Christ. Pastor Adeboye defines some of the precious blessings which He represents and lets us know how to walk in them.